"I believe that we form our own lives, that we create our own reality, and that everything works out for the best. I know I drive some people crazy with what seems to be ridiculous optimism, but it has always worked out for me." Christmas is coming and for me, 'tis the season to watch Muppet Christmas movies. There are so many to choose from! When we were growing up, the Muppet Family Christmas was on TV every year. Moments from that show stick with me as if they were my own Christmas memories: the Swedish Chef chasing Big Bird, Kermit meeting the Fraggles, Doc cuddling with his dog Sprocket and trying to avoid the chaos, and of course, Fozzie's Ma yelling "Watch out for the icy patch!" Later came The Muppet Christmas Carol, a hilarious yet moving retelling of the classic tale, with brilliant Michael Caine as Scrooge, Rizzo and Gonzo narrating and getting into all sorts of trouble, and Robin playing the cutest little Tiny Tim ever. Then last year I read Henson's biography and learned about another Christmas movie called Emmet Otter's Jugband Christmas. We watched it on Christmas Eve and it became a new favourite - with beautiful music and adorable characters. "I don't know exactly where ideas come from, but when I'm working well ideas just appear. I've heard other people say similar things, so it's one of the ways I know there's help and guidance out there. It's just a matter of our figuring out how to receive the ideas or information that are waiting to be heard." The Muppets were always a family experience in our house. My dad still breaks out the Swedish chef song now and then and my brother and I watched the show religiously when we were kids, going so far as taping most of the episodes. Later I taped over them and regretted it immensely until my brother bought me Season 1 for Christmas a few years ago. I was so excited I cried. My brother and I were lucky enough to catch the exhibit "Jim Henson's Fantastic World" at the Experience Music Project Museum in Seattle and get an inside look at Henson's creative history. The exhibit had videos of the wonky advertisements that started his career, and pages and pages from his journals showing sketches of characters and story ideas. We spent hours in there poring over every single detail, and left feeling full of Henson's unique creative energy. When I heard that there was a biography (Jim Henson: The Biography by Brian Jay Jones) I couldn't wait to find out the story of the man behind the magic. And I wasn't disappointed. I learned about the development of the characters, the incredibly intricate systems and new technologies he developed, and all the steps that led to the Muppets becoming who they are. Most importantly, I learned about Henson himself. "If you care about what you do and work hard at it, there isn't anything you can't do if you want to." I always knew that Jim Henson was a special person, and mourned him greatly even though I was only 6 years old when he died. The biography made it clear just how amazing he was. You couldn't choose a better model of constant creativity. Henson was bursting with ideas and was always pushing to make the next thing happen. He placed tremendous importance on the imagination, and devoted most of his life to bringing magical worlds to life that would inspire generations. Though the Muppets are what he's known for, he had plenty of other projects keeping him busy, many of which were innovative and avant garde. I was especially pleased to learn about what a warm, caring person he was. Though his personal life wasn't always perfect (whose is?) he really wanted to take care of the people around him. There are so many reason to love the Muppets. One is how skilfully they are brought to life. There's something captivating about watching live guest stars interact with the puppets as naturally as they would with other people. The biography makes it clear that this was a special skill Henson had and he trained his puppeteers to do the same. The off-the-wall sense of humour and zany characters are a pretty big draw as well. I love watching the show now and noticing jokes that I didn't pick up on as a kid. It takes a special kind of mind to come up with characters as diverse as Kermit, Rowlph, Animal, and Gonzo, and all the the bizarre bit players that added to the mayhem. Finally, there's the music that plays such an important role in every Muppet movie and TV show. These songs get stuck in our heads, make us laugh, make us cry, and help make the stories so memorable. "Try to keep enough balls in the air so that when some fall onto the ground, you've got others up there." A brilliant example of someone who followed his passions wherever they took him, Henson's short life was full of magic, wonder, creativity, imagination, productivity, and joy. 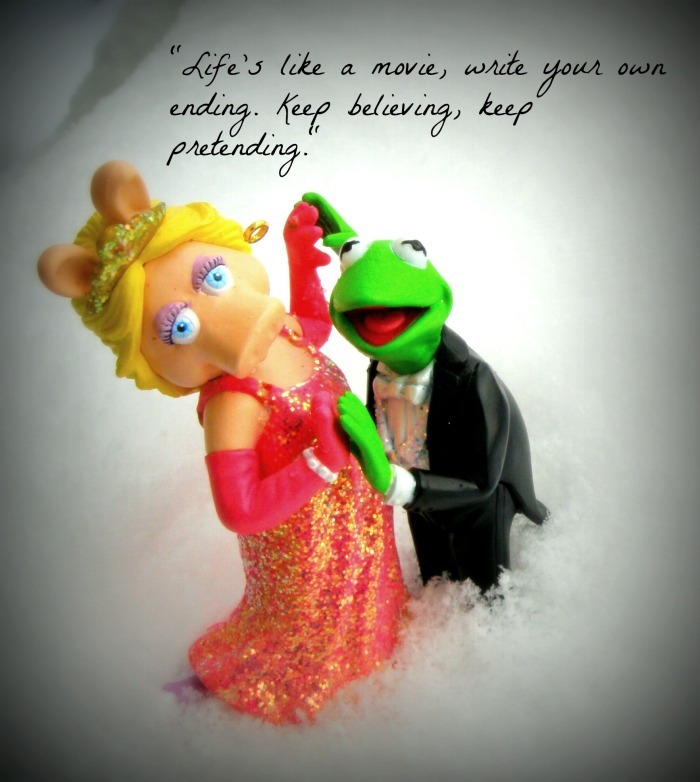 For years he struggled to convince TV executives that the Muppets weren't just for kids. Though he was primarily known as a children's entertainer, he left a legacy powerful enough to inspire people of any age. I would say that he accomplished his goal of leaving the world better than he found it. "It all ends in one of two ways: either someone gets eaten or something blows up." How do you feel about Jim Henson and the Muppets? Do you have any favourite Muppet memories?